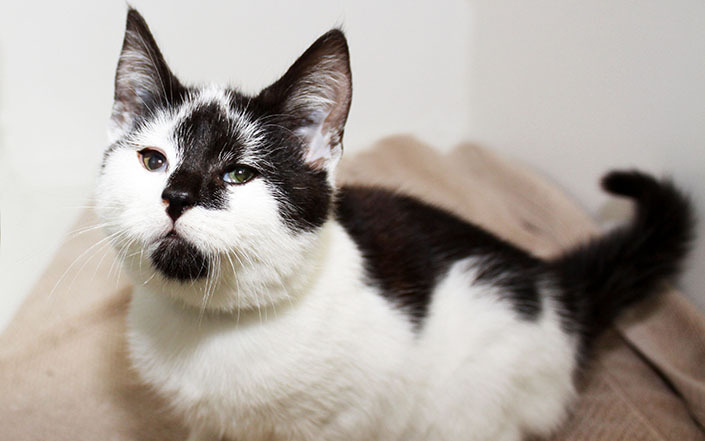 Blind kitten Star has made herself comfortable in a loving new home. Blind kitten Star arrived at the Home as a stray. Confused by her surroundings, she relied on scent, sound and touch to make sense of the world around her. Star stayed in a quiet area of the shelter, where our attendants gave her gentle, slow interactions to help her feel comfortable. Nobody came looking for Star, so she was ready to find a new family who could help her settle into a loving home and consistent routine. 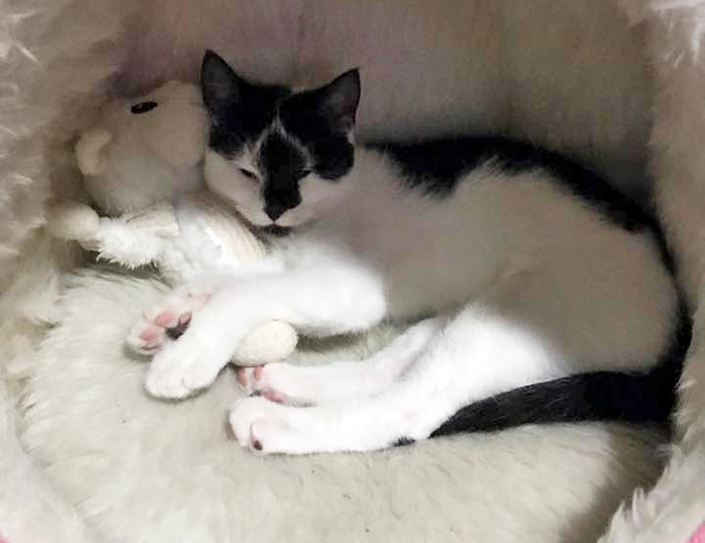 When Emma met Star at our North Melbourne shelter, she fell in love and knew she could offer a special home to this special kitten. Star is the sweetest thing. She is so confident, happy and a loving little sister,” said Emma. 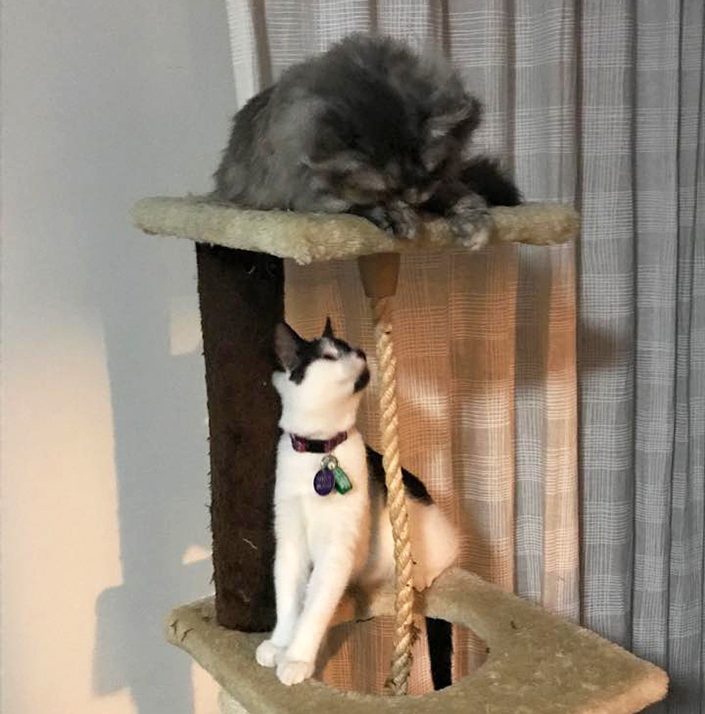 “Star follow’s [my other cat] Sadie Pear everywhere and I couldn’t be more happy about the bond they have established. “They love to play chase and run around the house playing hide and seek. Sadie has been very patient with Star and doesn’t want to admit it, but loves her and looks out for her. “Being blind has certainly not slowed her down at all. She climbs, runs, loves going outside with Sadie on her harness, and even purrs when she knows it’s time to be tucked in. Every homeless pet who arrives at our shelter has a unique tale to tell. Did you adopt your cat or dog from the Home? Submit your story.